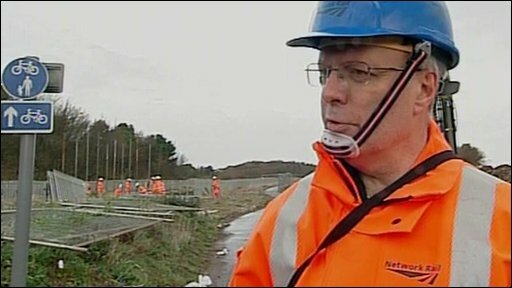 Network Rail's Keith Lumley has spoken about the challenges of building a complete temporary train station in Workington. The station will be a vital link between the northern and southern sides of the town after two bridges collapsed and the remaining one became unstable in the floods. Mr Lumley said Network Rail had built temporary footbridges before, but that constructing "a whole station like this is quite unusual".